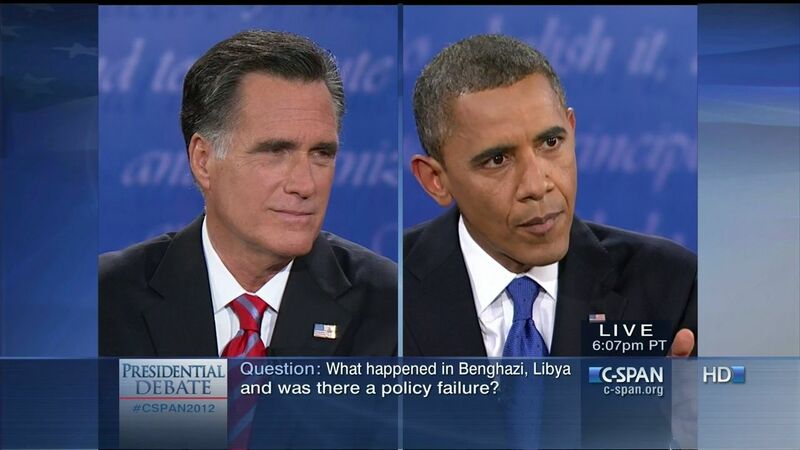 2012-10-22T21:01:55-04:00https://images.c-span.org/Files/e31/308547-m.jpgPresident Barack Obama and Republican candidate Mitt Romney met at Lynn University for the last of three debates prior the 2012 presidential election. The debate focused on foreign policy, including policy toward the Middle East, China, and North Africa, as well as military commitments in Afghanistan and Pakistan. The candidates were seated in the Wold Performing Arts Center of Lynn University in Boca Raton, Florida. CBS’s Bob Schieffer moderated the debate which was presented in a split screen. 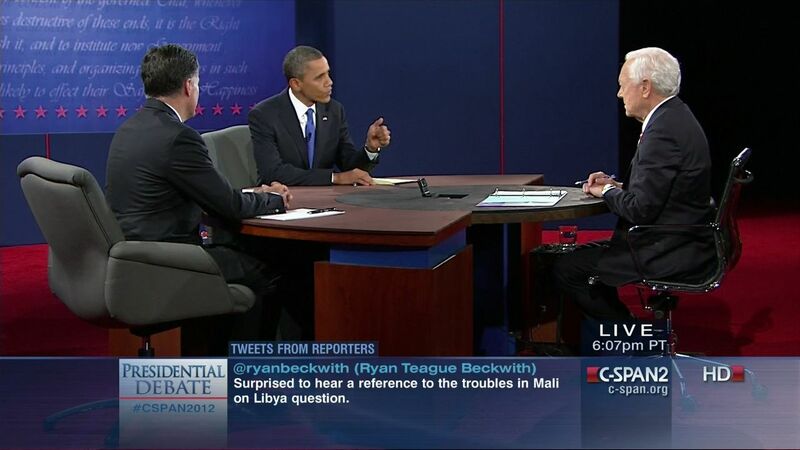 Was the response to the attack in Benghazi, Libya a policy failure?